​The ​Miami Dolphins are expected to ​move on from quarterback Ryan Tannehill. The veteran is likely to be available this offseason and a few teams have been linked with the former Texas A&M star, though nothing has materialized yet. The ​New York Jets are said to be interested in bringing aboard Tannehill to function as a backup to young quarterback Sam Darnold. This could be an interesting landing spot for the 30-year-old as he could help develop Darnold and has experience playing in the AFC East. Store this away: if the Dolphins move on from Ryan Tannehill, @mortreport notes on NFL LIVE to keep an eye on the Jets and Adam Gase as a landing spot as a back-up to Sam Darnold. ​Tannehill fell out of favor in Miami after dealing with injuries in each of the past three seasons, including missing the entire 2017 season after tearing his ACL. The Dolphins quarterback has played just 24 games over the past three seasons combined. 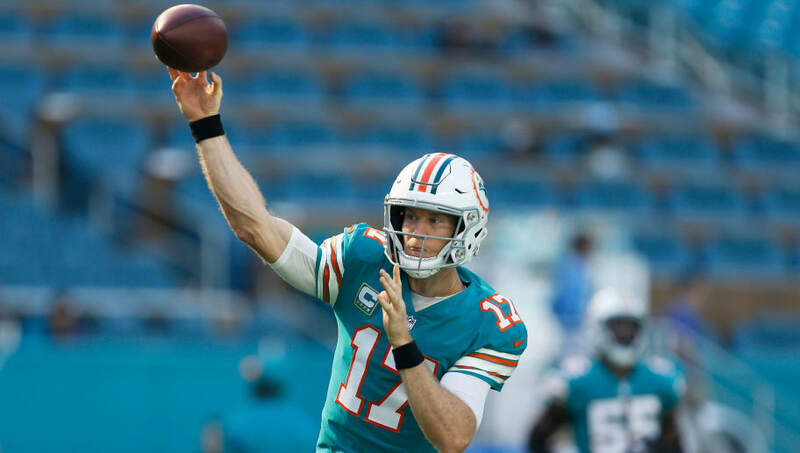 In 2018, Tannehill led the Dolphins to a 5-6 record in 11 starts and threw for 17 touchdowns and 9 interceptions. The Jets have a lot of cap space available, but even so, Tannehill would carry a massive cap hit if he joined the team without first restructuring his deal. He currently is due to make $18.75 million and carries a cap hit of $26.611 million and a dead cap hit of $13.423 million in 2019. Tannehill initially signed a four-year, $77 million deal with the Dolphins in 2017 and is under contract until after the 2020 campaign. However, the Dolphins are expected to release him, which would open the door for him to join the Jets.